With the start of the new calendar year fast approaching and businesses making plans to find new software and technology solutions for employees, now seems to be the perfect time to share the trends and technologies that we believe will drive productivity and build more flexible work environments for our customers in the coming year. 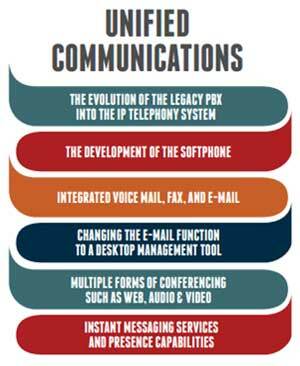 Many IT and Communications Trends from 2013 will be as prevalent this year as last. This portion of our two part blog series on The Smart Enterprise in 2014 covers returning IT and Communications trends that will help you maintain your competitive edge and keep current with the rapidly evolving Unified Communications technologies in today’s marketplace. As technology has progressed, employee presence in the workplace has evolved. In 2014, employees are going to continue to be mobile, and will be traveling or telecommuting even more than the previous year. These employees will continue to need access to data and applications in non-stationary locales. As long as this trend continues, your employees will continue to require a fully-functional mobile work environment. To today’s employee, location is unimportant, but presence and status remain crucial. Fixed Mobile Convergence (FMC) capabilities offer communication services independent of access technique. FMC supports smartphones as an integrated extension of the company network, meaning it can be accessed from any location at any time via a WiFi connection. Mobile devices can then be used in conjunction with enterprise security credentials—thus simultaneously securing enterprise information and supporting ‘Bring Your Own Device’ (BYOD) policies. Software-Deﬁned tools are the definition of new improved standards for infrastructure programmability and data center interoperability. Driven by automation and cloud computing, software defined technologies provide you with simple, cost-effective tools that are built on collaboration. Software-Deﬁned Networking (SDN), for example, provides technology to extract network architecture and make network devices programmable. The goal of SDN is to allow network engineers and administrators to respond quickly to changing enterprise conditions. In a software-defined network, a network administrator can shape traffic from a centralized control console without having to touch individual switches. The administrator can change any network switch’s rules when necessary — prioritizing, de-prioritizing, or even blocking specific types of packets with a very granular level of control. This is especially helpful in a cloud computing multi-tenant architecture because it allows the administrator to manage traffic loads in fast, flexible, and efficient means. Numerous organizations depend on generic or speciﬁc IT applications in their day to day operation and services, which is why providing these businesses with solutions that provide continuous operation of essential systems is vital for us. IT has become a matter of providing services 24 hours a day, 365 days a year across countries. As a result, IT systems need to be extremely reliable, and, the application of High Availability in IT systems becomes one of the most important implementations in IT strategies. IT managers need to protect data and applications, from sudden hardware, OS and application failures to sudden natural disasters. To achieve a high level of operational uptime, infrastructure components must be fault tolerant with the ability to recover from complex failures. This is all the more important in mission-critical environments, such as healthcare, banking, insurance, e-commerce or web services. A virtualized infrastructure improves business continuity. A clustering solution can be key to continuing the workﬂow on standby systems without stopping business operations when failure strikes. This can be clustering software or fault tolerant server solutions delivering exceptional uptime through dual modular hardware redundancy. These servers provide continuous availability through hardware redundancy in all components: processors, memory, motherboards, I/O, hard disk drives, and cooling fans for optimal data integrity. While some of these trends will accelerate, others likely won’t. NEC experts, however, expect all of these technologies and developments to help organizations drive productivity and bring new, powerful solutions to businesses everywhere. 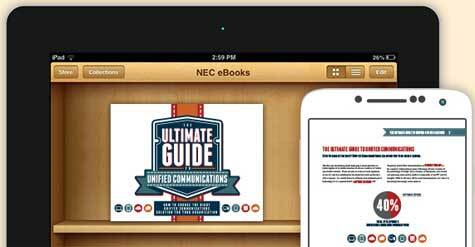 Wondering what else NEC experts predict for next year? We’ll continue to uncover what IT and Communications will look like in 2014 in part two of our blog series on The Smart Enterprise. To learn more about these technologies, download our eBook: Smart Trends Enterprise Trends 2014: 10 Strategic Drivers that Will Empower the Smart Enterprise. Whether you’re thinking about deploying a cloud, premises-based or hybrid approach to unified communications, there are a number of factors to be considered. Gary Audin, president of Delphi Inc. has authored an eBook on the subject of how to evaluate which approach is right for you. We’ve summarized his recommendations and evaluation process, as well as provided a link to the full eBook below. As with most anything, there are pros and cons to each approach. For this evaluation, Gary focused on the items that make up the bulk of the expense and therefore, are most likely of greatest concern to you. Since communications technology is becoming more software driven, it should come as no surprise that IP Telephony and Unified Communications (UC) software expense makes up more than 40% of a solution’s total purchase price while hardware is becoming increasingly commoditized. As a result, for organizations to remain competitive, they need to consider today’s best practices in leveraging their software-based investments. Flexibility that is scalable and designed to support added functionality. 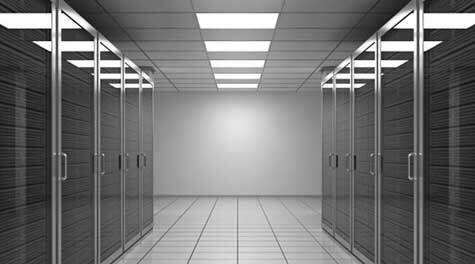 In any organization, the data center typically always has room for improvement and optimization. With no wiggle room in IT budgets over the past few years, IT departments are facing technical as well as financial constraints. There is a continuous effort to consolidate systems, thus reducing the costs of both the purchase and operation of data center functions. Virtualization is one answer to this effort. Virtualization is the use of software that allows a piece of hardware, usually a data center server, to run multiple operating system images simultaneously instead of a server dedicated to each function and operating system. Studies have discovered that single application servers are commonly underutilized, with as little as 5% busy. Virtualization allows data center operators to increase the processing utilization and efficiency of a server. One server can operate in the same manner as multiple servers, thereby reducing purchase and operating costs. Whether you deploy premise-based, cloud or hybrid solutions for communications and collaboration services, virtualization can benefit your organization. An IT standard is an agreed-upon document that defines the performance, operation, interfaces, interoperability and measurement of a device, software, hardware, protocol, or language. It is typically beneficial to adopt a standard, but remember that a standard does not define the implementation of the technology; therefore there can be significant problems of design and financial issues that were not anticipated. For example, the standard can include so many options that vendors could each adopt a different subset of those options, making all the products unique and not interoperable. This happened with SIP trunking, where each vendor chose a different implementation approach. As a result, the SIP trunking providers had to customize their operation to each vendor. The solution: the SIPConnect SIP trunking solution that is now common for these implementations. In the days when communications systems were implemented using proprietary hardware, you could expect the cost of backup/failover systems to nearly double your expense. As a PBX backup, the second failover system needed to be co-located on the same site as the primary system. The move to IP-PBX solutions alleviates cost by allowing the backup/failover site to be remotely located, adding further protection against major primary system failures. A common server can backup communications and collaboration implementations, even while being shared with other applications. While there is no right or wrong approach to implementing UC for your organization, you do want to be sure to implement the one that best improves productivity and decreases cost. Stay tuned for our second post where we will continue to summarize the pros and cons of each method. In the meantime, download the full white paper to learn more. Hey Buddy!, I found this information for you: "Time to Take a New Look at Facial Recognition". Here is the website link: http://nectoday.com/time-to-take-a-new-look-at-facial-recognition/. Thank you.